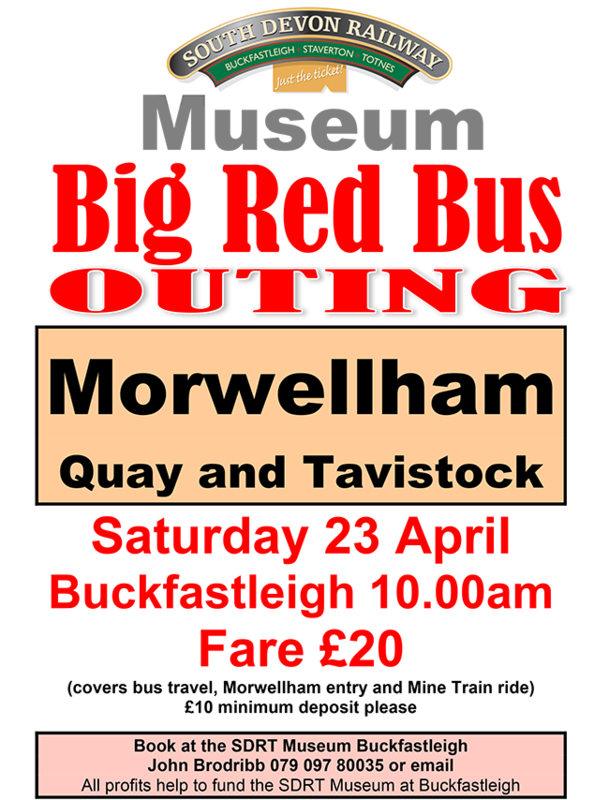 On Saturday 23 April we are taking the Big Red Bus to Morwellham for a day out. Leaving Buckfastleigh station at 10.00am, we go to Morwellham Quay and spend the day there, leaving later in the afternoon to go to Tavistock. There you can enjoy fish & chips, wander round the market, just do a bit of shopping or go for a quiet drink. The fare of £20 per person includes all bus travel, entry to Morwellham and a ride on their mine train – well worth it. You will need either to bring a picnic or use Morwellham’s eating and drinking facilities. You can book at the museum or at any museum meeting. On Thursday, 31 March we were delighted to host Bernard Mills at Buckfastleigh Town Hall. This was be a very special show, even by Bernard’s high standards, because it covers the fifty years that he has been taking photographs. Entry was free, and there were refreshments and the usual prize draw.